Most of the time you’ll be writing and testing your programs in the simulator. Once you’ve finished your program though, you can compile it and run it on your micro:bit. Transferring your program to the micro:bit is as simple as saving a file to a drive on your computer. 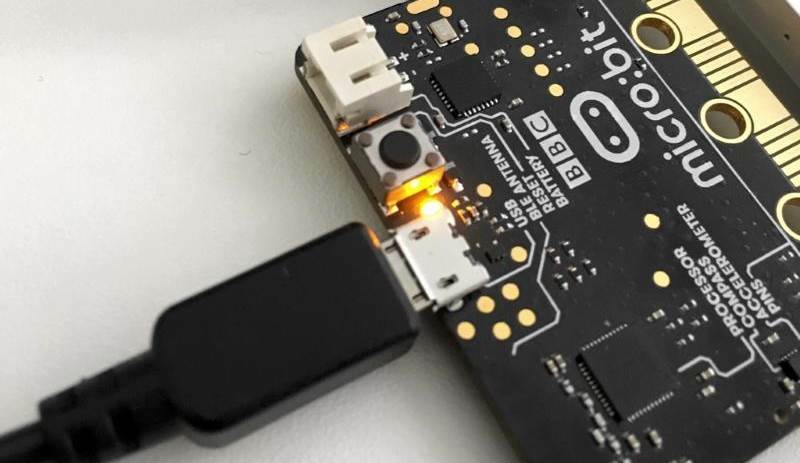 When you plug your micro:bit into USB, a new drive is created with the MICROBIT label. This is where you’ll save your program. Connect your micro:bit to your computer with a USB cable. Click Download to download the .hex file. Move the .hex file from your computer onto the MICROBIT drive. The next section has instructions for the browser that you’re using.